The buds of this creeping marsh perennial turn from pink through sky blue to almost white as the blossoms develop. This plant is widespread and common throughout Britain and Ireland. There are several closely related species that share the same common name. 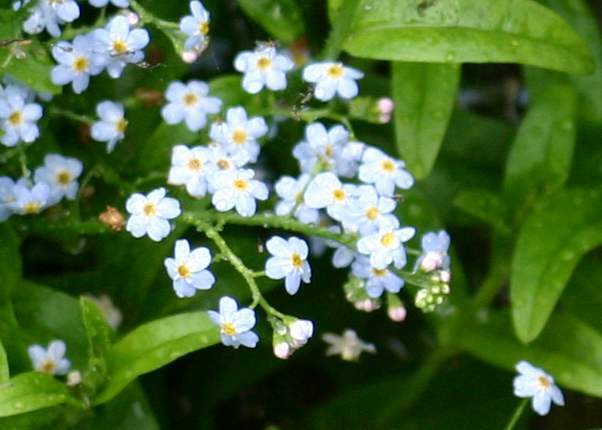 Water Forget-me-not produces flowers from June to September in Britain and Ireland. 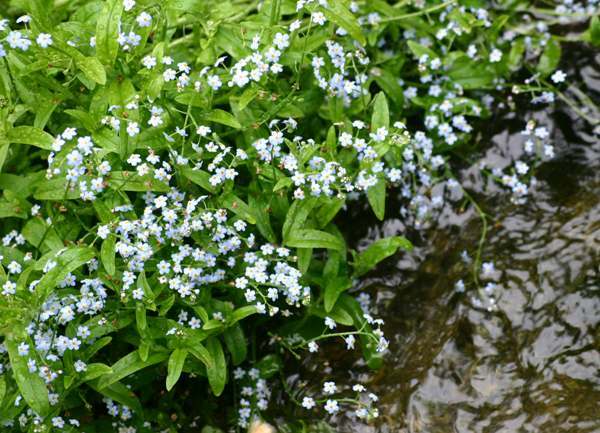 A wildflower of wetlands and shallow waterbodies on either acid or alkaline soils, the colour of the Water Forget-me-not is largely determined by the acidity of its environment. The plants shown on this page were seen beside the River Teifi in West Wales in July.